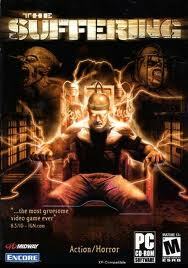 Who do not know, The Suffering (RIP) is an action adventure type game that tells about a man who tried to escape from prison. 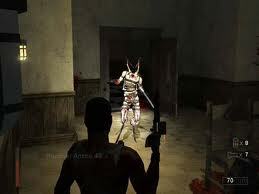 The Suffering (RIP) has pretty good graphics nearly classmates PS2, and make a trembling voice. Okay for those who want to try to please in check. 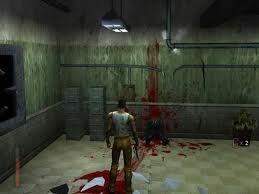 The modern horror game is one That sticks pretty close to the blueprint laid out by Capcom's 1996 release Resident Evil. Slow pacing, Methodical puzzles, and scares centered around Things That jumped out of the darkness were the resource persons the order of the day then, and since That time, games have roughly based themselves on this concept. Surreal's new game, The Suffering, goes for the horror thing with creepy monster design and startling visual trickery, but it also ditches most of the ammo-conservation and slow pacing found in a majority of horror-themed games. The end result is a much more action-packed experience That Might Be a little too straightforward in spots, but it does the make for a solid action game. As Torque, you'll need to escape from a monster-infested high-security prison compound in The Suffering. 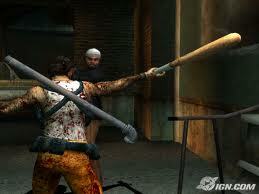 In The Suffering, you'll play as a thick-sideburned tough guy named Torque. The game opens with Torque being led to his new cell on death row at Abbott State Penitentiary, an island-based prison where the baddest of the bad go to die. Torque has been Convicted of murdering his wife and two sons, but he does not remember anything Actually Concerning Their murders. 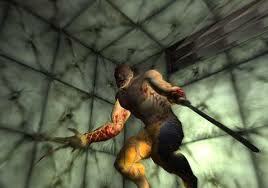 After a brief intro, a bunch of creepy monsters attack the prison, slaying many of the guards and inmates alike. This leaves Torque free to explore so that, hopefully, he can escape the prison island and reach safety. You'll also learn early on That Torque has the ability to transform Himself into a big monster you Pls fill up his "insanity meter." The monster does pretty serious damage to most foes, but you'll have to watch the meter closely and change back manually before it empties. If you let it drain all the way, Torque will not survive. Torque's monster form is an interesting Addition, but it's usually Easier to just pick off Enemies from a distance with one of your many firearms, thus making the monster form Generally feel like more of an afterthought than a necessity. The game is pretty focused on combat against Various creatures. Each creature has its own moves and Abilities. Some will of hang back and try to Pelt you with projectile attacks, while others Will Attempt to get up close and personal. The hangmen will from simply descend from the ceiling and Attempt to choke the life out of you, while the burrowers you'll encounter later on Will pop up out of the ground and Attempt to whip you with chains. The game is pretty good at giving you a lot of targets to shoot at, and as a result, you'll usually have more than enough ammo to deal with any situation, though the higher difficulty settings do toughen up a bit of Things. Shooting up monsters is the order of the day. The Suffering is more about action than about snooping around in search of keys. Aside from shooting Things, you'll also do some light puzzle-solving. Most of this is as simple as finding a button or a switch to open a door, but you'll also have to push or pull boxes around, put out fires That block your path, and so on. On top of this, there are multiple Airways to play the game, Depending on your disposition. You'll run into trapped guards and inmates from time to time, so you can choose to help Them by getting them out of Their current binds or by leading Them to safety. Or you can ignore Them. Or you can simply blast and take any items Them They may have on Their persons. These choices are essentially scored and tabulated behind the scenes, and at the end of the game, you'll see one of three different endings based on what sort of person you were the resource persons.